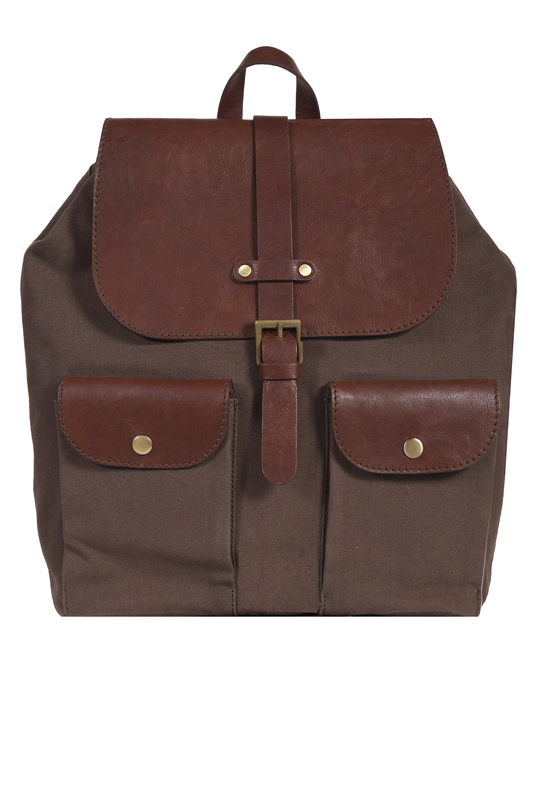 This rugged backpack features a flap with a quick release buckle and two front flap pockets with magnetic snap closures. The roomy interior has a zip pocket and a padded open pocket section for your laptop or tablet. Easy carry top handle and leather and canvas backpack straps.